At the recent GTR Africa Trade Finance conference held in Cape Town, I had the good fortune to moderate a panel discussion entitled Filling the breadbasket: The importance of a thriving agribusiness sector. Panel participants included Niren Murugan, Regional Head of ETG Agri Inputs: Southern Africa; John Purchase, CEO of the Agricultural Business Chamber (Agbiz); and Munyaradzi Musamba, Managing Director of Thermal Agriculture. Much of the discussion by the panel members focused on the vital and growing role that small scale farmers currently play in establishing the African continent as a leading global food producer. At the outset, all the participants agreed that there is no question that smallholders are, and will always be, a vital component of Africa’s agriculture sector. The key challenge, and opportunity, however, is to find effective ways to transform the vast majority of these small scale operations from subsistence farmers into viable and sustainable commercial participants in Africa’s commercial agriculture sector. A key challenge in this regard, however, is the fact that most small African farmers are not landowners, but are rather long-term tenants through land use agreements, rural and tribal land allocations or leases. This creates a measure of difficulty for these farmers when it comes to accessing any type of formal finance or credit to grow or expand their farming operations. The agri-funding models used in South Africa and, indeed, most developed countries, simply will not work in the African context since small farmers are unable to leverage their land as collateral for the financing of capital expansion, mechanisation or even working capital for crop cultivation. Against this backdrop, it is clear that assisting small scale farmers to achieve the sustainable growth and commercial viability they need to elevate them from the current subsistence farming models will require high levels of collaboration between finance entities and existing commercial agri-industry participants along the supply chain. The panel members felt that the most logical approach to addressing this challenge and capitalising on the vast commercial potential of Africa’s vast network of small-scale farmers, was through the implementation of a ‘hub-and-spoke’ agri-industry model. This is not a new model in Africa. In fact, there are a number of examples of the success that can be achieved through it, and a number of these successes have been achieved by ETG, which operates various commercial processing hubs that provide farming inputs to small scale farmers around them, while at the same time facilitating the purchasing of their crops. It’s a model that has the potential to deliver significant benefits for all stakeholders in Africa’s agriculture sector. Farmers not only benefit from easy access to vital farming inputs like seed, fertiliser and insecticides, but they also enjoy the guidance, training and mentoring of skilled, highly experienced commercial farming experts as well as ready access to mechanisation when required, secondary processing facilities and an established, transparent and sustainable market for their produce. This last point is one of the most vital components of any workable commercial farming model for Africa as most small scale farmers on the continent deliberately remain at a subsistence farming level simply due to having no access to markets for any excess yields they produce, much of which ends up going to waste through the lack of reliable transport systems, storage facilities or cold chain management. Another key aspect of this hub-and-spoke approach to commercialising farming in Africa is that it creates real opportunities for financiers to get involved in the development of the agriculture industry on the continent. Under the current small-scale model, farmers simply cannot access commercial funding because they literally have no tangible assets to present to banks as collateral. This, combined with the general lack of commercial farming expertise of most of these farmers, means banks are understandably reticent to take on the massive risk associated with lending directly to these farmers. And even if they did offer funding, the cost to the farmer would be excessive as a result of the very high credit risks involved. A well-designed hub and spoke arrangement effectively removes these expensive risk barriers by shifting the responsibility for production to the hub owner, which could be a commercial farmer, processor, trader, or a combination of these. These hub owners or operators not only assume the production risk, they effectively mitigate it by directly involving themselves in the operations of the small scale farms that form their 'spokes'. This lowers the financial risks to financial institutions and allows them to design and offer innovative funding solutions, if needed, directly to the hub owners who can then leverage this funding for the benefit and long-term growth of their entire network of smallholders. Given that Africa will soon be home to roughly 25% of the world’s total population, combined with the fact that more than 60% of global uncultivated, fertile land is located on the continent, the importance of urgently securing Africa’s role as a global breadbasket is undeniable. 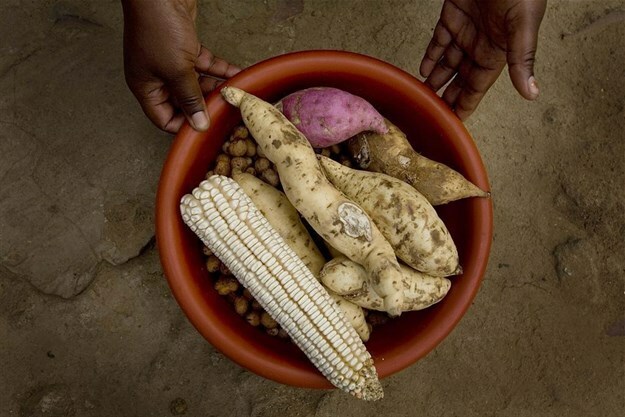 Not only does Africa desperately need to achieve the ability to feed itself, but in doing so, there is massive potential to position the continent as the answer to many of the global fears around food security. And the positive socio-economic spin-offs of this, for Africa and all its people, are likely to be unprecedented. Zhann Meyer is the Africa Head of Global Commodity Finance for Nedbank CIB.